Back in 2013, the Audi A9 Concept was being revealed and nearly a year after that, the A9 Prologue was being shown. The two cars were Audi’s statement that they want to make something bigger, more luxurious and more powerful than the Audi A8. Well, it now seems that a new A9 concept might be coming our way. The release date is currently under wraps, and there are very few details about it. Also, unlike pretty much all of their other cars, the Audi A9 might get to use a Porsche-derived platform. This would be based on the same chassis as the Porsche Panamera, which is a highly impressive car. This means that while the longitudinally mounted engine will stay, not much else will be shared with the other Audi lineup. The running gear, engines and likely most of the design are going to be unique. This should make the upcoming A9 the true masterpiece Audi wants it to be. The car will be very fast, expensive and quite rare for sure. Some people say that Audi aims to sell the car at over $150,000. This is way more than even the base Panamera, but it should be well worth it. Why? Because it will be the equivalent of a Rolls Royce in an Audi jacket. The original Audi A9 Concept was nothing more than just a design exercise. However, the one showcased back in 2014 was a bit closer to a production model. The rumored production car, on the other hand, will be slightly more different than what we thought. For starters, it is not going to be a two-door but a four-door coupe-like car, just like the Panamera. Also like the Porsche, the A9 should offer a lot of active aerodynamics to keep it to the ground at even the highest speed. The finished design of the car is likely going to sit between the original concept, the Prologue and probably the current Audi A8. We do expect Audi’s corporate grille and headlights to be present on this model as well. However, its proportions will be all new for an Audi. The car should be wider and lower than a regular model as well as much longer. The sloping roof and the wideness of the car will likely give the impression of a supercar which is definitely what Audi’s going for recently. Its cabin will most definitely house only four people. Audi will do this to retain the character of a supercar. On top of that, the driver will benefit from a similar driving post to that of the Audi R8, which should be highly impressive in a car this large. Likely one of the least interesting parts of the upcoming Audi A9 Concept is going to be the engine. The Prologue was using a 4.0-liter V8 with nearly 600 horsepower. This would have plenty of power and torque to make it faster than pretty much any other sedan out there. However, the tiny V8 wouldn’t do justice to such an impressive car. In its place, we expect to see a specifically designed V10 or V12 engine. We might even see the unit from the R8 with an added supercharger on top. The result would be a massive sports sedan with a supercharged 5.2 liter V10 with up to 760 horsepower or more. The car would likely be capable of getting to more than 200 MPH with ease, all while getting to 60 MPH in less than 3 seconds. An eight-speed automatic is likely to be used while Audi’s already well known Quattro all-wheel drive system should also be present. This time around, though, the system will be Porsche’s all-wheel drive unit modified for it. The British publication explains the A9 as being a smooth, coupe-like sedan with an electrical powertrain and four-wheel drive. The powertrain is stated to be the exact same one established for 2018’s Q6 e-tron electrical SUV, which was previewed in 2015’s e-tron quattro principle (revealed above). This suggests a 95-kilowatt lithium-ion battery efficient in providing a series of over 300 miles on a single charge. The vehicle, which would likely be badged an A9 e-tron, is approximated to show up to the end of the years. 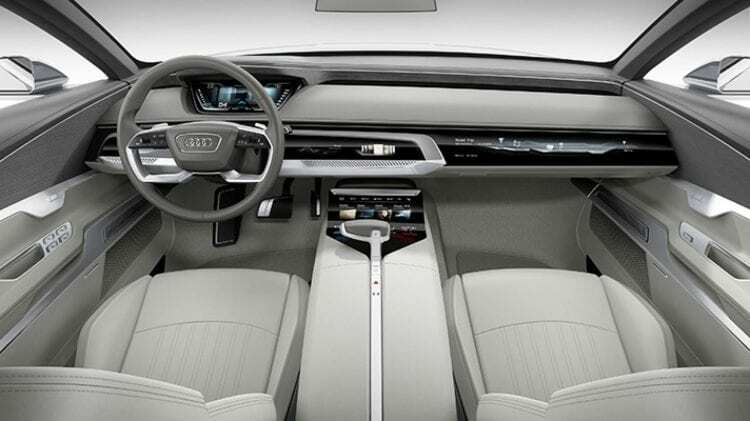 Level 3 ability, where an automobile can take complete control in minimal circumstances, such as throughout highway driving, will be readily available next year on the brand-new A8. Keep in mind, Audi is not alone in its mission to establish a high-end electrical automobile. Has actually currently experienced significant success with its range-topping Model S variations, and Porsche and Mercedes-Benz have actually validated particular entries in this section. Far, we have not seen a production variation, or even any main photos of the brand-new automobile, however sources suggest the automobile is on the method. 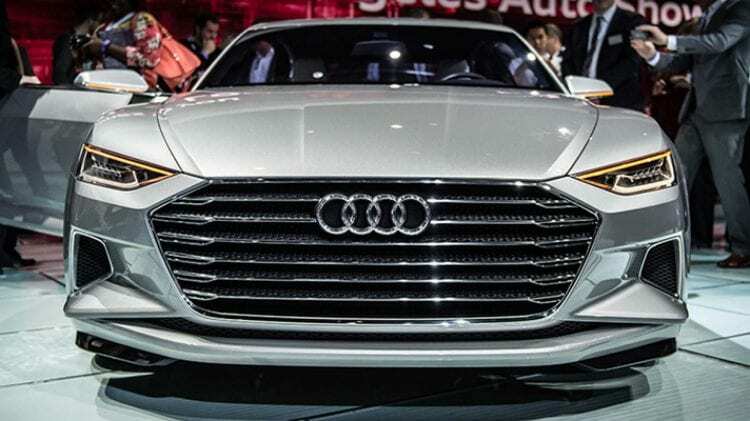 Styling is most likely to be greatly affected by the Audi Prologue principle cars and truck that was revealed at the 2014 Los Angeles Auto Show. 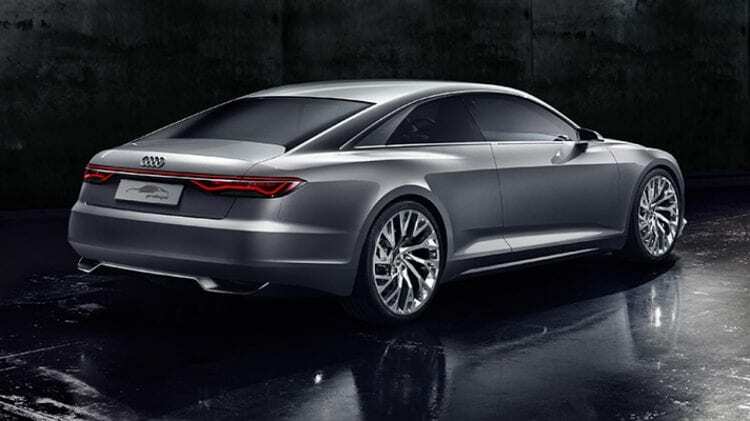 It’s simply an idea at the minute, the Prologue program automobile provides us a great concept about the styling instructions that future big Audis like the A6, A9, a7 and a8 will take. The signature big, trapezoidal, horizontal-slatted front grille is right and present, while the four-ringed Audi badge sits right at its heart.